Little Weirdos: Mini figures and other monster toys: Mystical Warriors of the Ring: New colors in PVC! Mystical Warriors of the Ring: New colors in PVC! After releasing the first three non-resin Mystical Warriors of the Ring figures in a MUSCLE-like flesh as well as a candy apple red this Fall, Fantastic Plastic Toys has already added more colors to the PVC collection. The new colors include a shiny pearlescent blue, glow in the dark and pearlescent black (the black is not pictured in this post)! 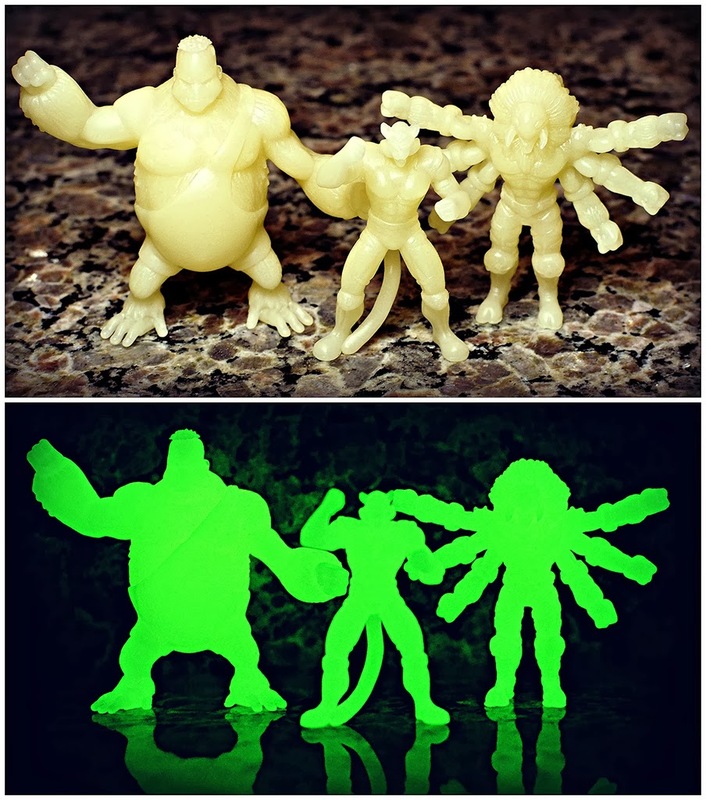 Once again, the figures come in a three-pack of the following anthropomorphic wrestler characters: Sheldon Sabre (a tiger), The Widowmaker (a spider) and Kayin Kungaa (a gorilla). 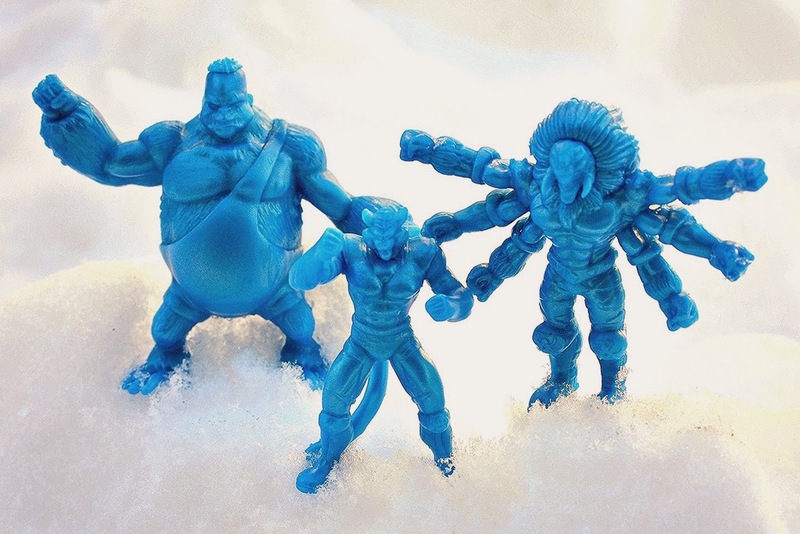 The blue and glow sets are sold in collaboration with True Cast Studio and are available through the True Cast online store for $9 and $10 per set, respectively. The black set is available for $9 from Jay's CD and Hobby. The pearlescent blue is definitely my favorite color from this line to date. It's really beautiful and looks especially brilliant in person.